Leaf here! It’s been only a week and a half since we rolled up to Woodstock’s gate, but this place already feels like a home. We have learned (and forgotten and relearned!) dozens of names, explored various routes down the mountain from our house to school, become accustomed to bringing umbrellas with us wherever we go, and started planning our curriculum for the coming year. 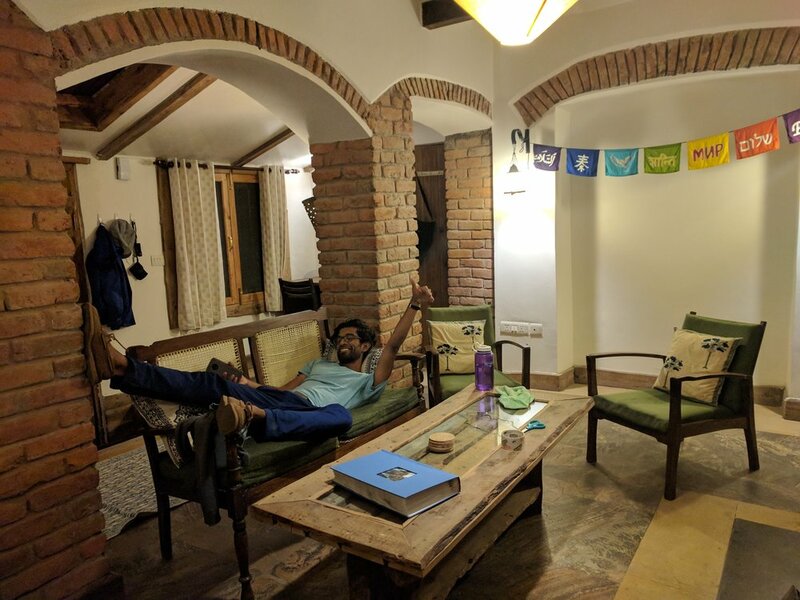 Thanks to some helpful insider tips and a shared taxi ride down to Dehradun, our hillside house is now equipped with some pretty rugs, cushions, and newly framed art and photos we brought from Boston. And as of a few days ago, we have the two greatest luxuries of monsoon life: a dehumidifier and a clothes dryer! The arrival of students next week will add another layer of challenge, but we’re definitely starting to settle into a comfortable routine here. But Woodstock is more than a comfortable home and school-- we’ve been learning that it’s also a deeply rooted community. Unlike a typical public, non-residential school in the US, Woodstock fosters collegial relationships that are also personal relationships. Our second night here, we watched a World Cup match at the home of our vice-principal while playing with his toddlers. The next night, we watched another match (there are a lot of soccer/football fans here!) at the school chaplain’s house and played Uno with the son of one of Dinesh’s fellow math teachers. All of these colleagues are professional, respected school leaders, but they're also human beings with families and personal lives, and it's been refreshing to get to know both sides at once. We eat nearly all our meals in the school dining room with other Woodstock staff members, and conversations about lesson-planning flow naturally into discussions about our families, pre-Woodstock homes, and hobbies. During the 30-minute morning and afternoon tea breaks (the best part of the schedule here!) or on our hike to and from school, we chat with Woodstockers about how to fix a roof leak, the best ways to avoid monkey encounters, and the newest chalk drawings in the quad created by Woodstock youngsters. The community here extends beyond our school campus. 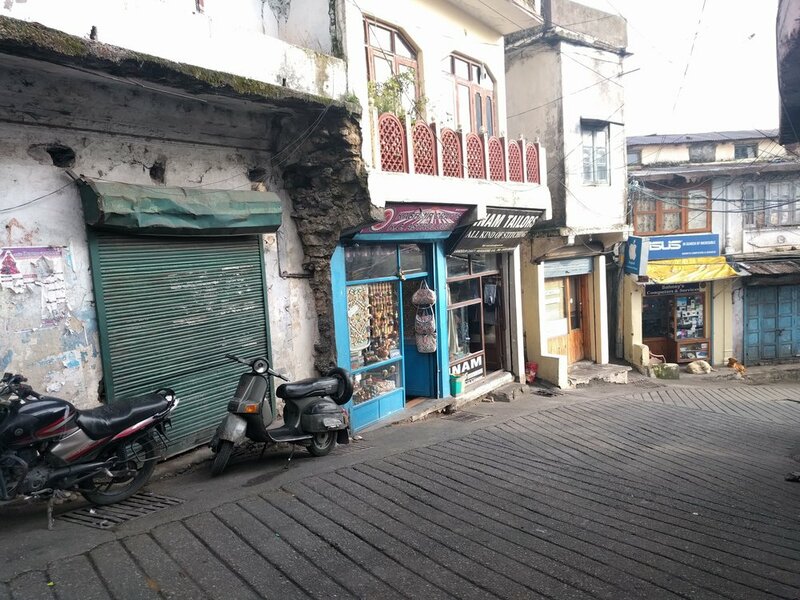 Woodstock has existed harmoniously with the surrounding towns (Landour and Mussoorie) for the past 164 years, and that relationship is evident whenever we walk to town. During our first weekend here, our “buddy” Bob, an existing staff member who also happens to be the head of the middle school here, introduced us to Balay, the man who runs the best electronics store in town. The two of them traded music suggestions and old stories while simultaneously arranging an order for a custom-made power converter cable. Later, we stopped by a tailor shop next door that had been recommended by some Woodstock friends. The tailor and his brother, who owned his own shop a couple storefronts away were eager to learn about where we came from and what we would be teaching at Woodstock. It’s easy to imagine locals feeling some resentment toward the comparatively wealthy staff members at the foreign school down the street, but we have experienced nothing but kindness, trust, and friendly curiosity from the local residents. Despite India’s reputation for corruption (at least in the big cities), we have been blown away at the way our new community members, both in and outside of the school, trust and support each other. We have felt embraced by this community, which has made our transition so much easier. Next step toward community membership? Learning Hindi!